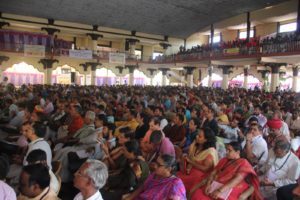 Udupi (VSK). “India is an eternal nation, it is the soul of the humanity. And to make a strong and virtuous India is the need of the universe. This can be achieved only through make the people understand the basic tenets of Hindu dharma and only Sanskrit can be vehicle for this change”, said Suresh Soni Ji, Sahsarkaryavah of Rashtriya Swayamsevak Sangh. 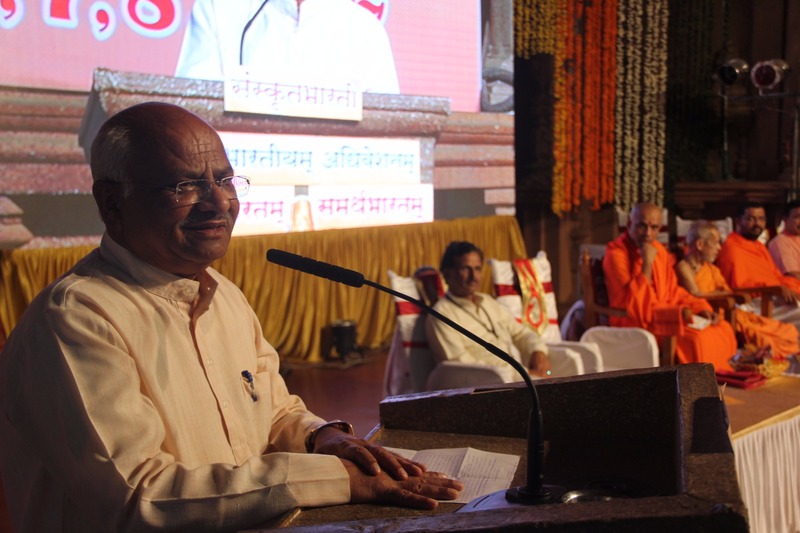 Suresh Soni Ji was speaking while delivering the keynote address in the special program organized during the All India Convention of the Sanskrit Bharati. Shri Shri Vishweshteerth Swamy, the pontiff of the Paryaya Shree Pejawar Adhokshaja Mutt, Udupi, Shri Shri Nirmalanandnath Mahaswami of the Adi Chunchungiri Mahasansthan Mutt, Shri Dharmapalnath Swami of the Shakha Mutt, Bhaktvatsal Sharma, the newly elected national president of the Sanskrita Bharati and Pramukh M. B. Puranik, Karyadarshi of the Welcome Committee of the convention were present on the Dias. 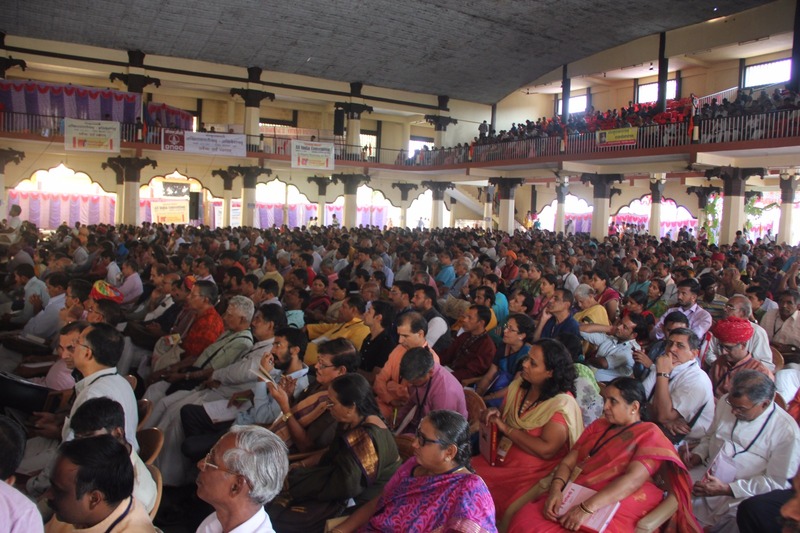 RSS Sahsarkaryavah Suresh Soni Ji spoke on the subject ‘Sanskrit Bharatam, Samarth Bharatam’. Qquoting Will Durant, he said, “India is mother of all. In the thousand of years of journey, there are bound to be ups and downs. Today’s India is a mixture of two streams – there is a weak but thriving spiritual tradition while another stream is of the customs and beliefs inherited from the aggressors for the thousands of years. The national men and the spiritual men are the first need of a strong India”. He called for removing the inferiority complex from the countrymen saying that the nation has become defensive owing to the aggressions for over a thousand years. “The misconception that the Indian philosophy teaches us only asceticism has to removed. And we don’t need to bring anything new to do this. Nowadays, people talk of pluralism but the pluralism is a Semetic concept because that tradition insists on the uniformity. However, we accept the plurality as a manifestation of the one”. 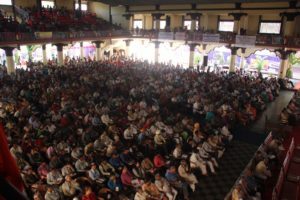 The nation needs to be remembered of various Sanskrit mottos of government and the various departments that our constitution makers have given to us.” He enthused over 2000 Sanskrit Bharati workers gathered all over the country saying that there was no need to be dejected by the unfavorable circumstances. Our Late President Dr. A. P. J. Abdul Kalam had once said that ‘if you spiritualize the religion and nationalize the people, all problems will be solved’. 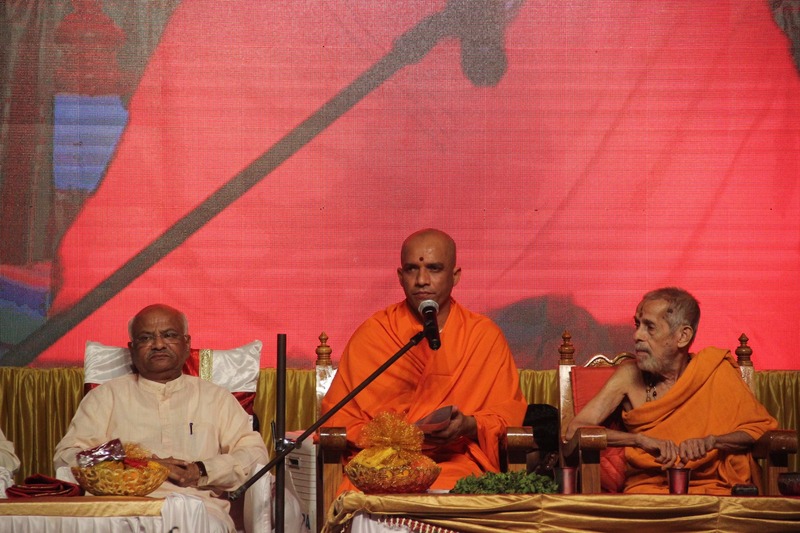 At this occasion, Shri Shri Nirmalanandnath Mahaswami Ji of the Adi Chunchungiri Mahasansthan Mutt said, “By the way Sanskrit Bharati is working, we can certainly bring a change in the system. This is the time to change our educational system. Our university students should be taught what our ancestors have given us so far”. The convention will be a three-day affair and will comprise of various discussions, seminars and cultural programs. An exhibition titled Parampara has also been organized on this occasion.